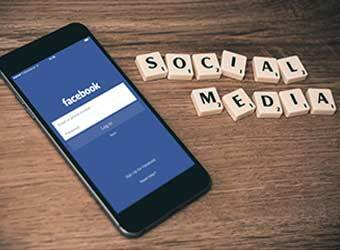 Social networking giant Facebook released its year-end review for 2016, highlighting 'moments, events and trends' that ruled the year both in India and globally. It also unveiled its very popular 'Your Year in Review', a personalised video that gives users a flashback of the year gone by. Users can edit the video before sharing it on their timeline. The link to the review will be available to users in phases over the next one month. Facebook's 2016 Year in Review was measured by evaluating the top 10 moments of the year by counting how frequently a topic was mentioned in Facebook posts made between January 1 and November 27, 2016. Mentions were analysed in an "aggregated, anonymised way", and then ranked, said the statement. It added that the top 10 Live videos were measured by total cumulative views. The most talked about topics in India were cricket, the Uri attacks, Mahendra Singh Dhoni's biopic, Pokemon Go and and iPhone 7 among others. The top trending videos in India were mostly dominated by celebrities from the film fraternity such as Sonakshi Sinha, Amitabh Bachchan, Ajay Devgn and Shah Rukh Khan. The social media giant also revealed top trends from Instagram. The most Instagrammed locations included Mumbai's Marine Drive, Taj Mahal, Hauz Khas in New Delhi among others. The most popular hashtags were #love, #instafood, #fun, #india, while Diwali, Children's day and Dussehra topped the list of the most instagrammed days in India. Beyond India, the top Facebook global trends were the US presidential elections, Brazilian politics, Pokemon Go, Black Lives Matter and Brexit, among others. India has Facebook's second largest user based with 166 million monthly active users. Besides users, the country is also a critical and strategic one for the firm in terms of ad revenue. It is working with various Indian firms to help them boost their brand presence. For example, Facebook helped cab aggregator Ola increase its acquisition rate through a #ChaloNiklo brand campaign. According to insights provided by market research firm eMarketer, Facebook's global ad revenues for 2015 was $17.08 billion, while the overall revenues were $17.93 billion. This year, the firm's global ad revenues are expected to touch $25.9 billion, the research firm has estimated.